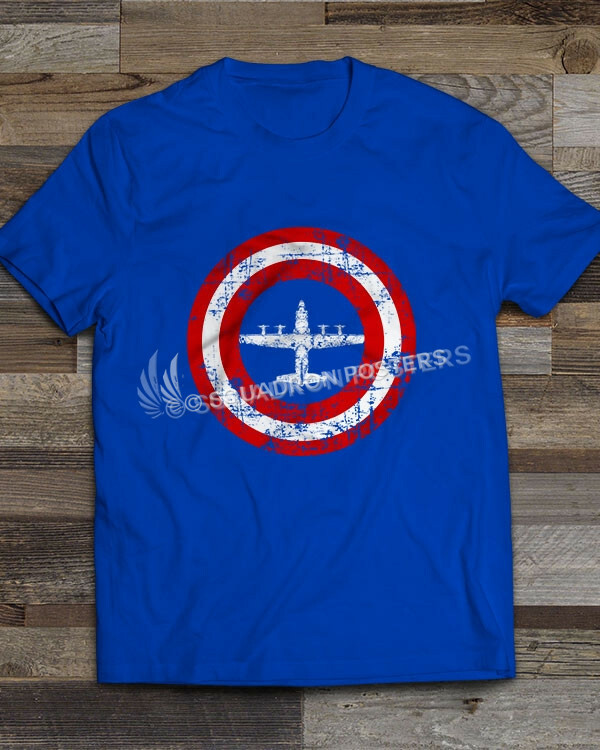 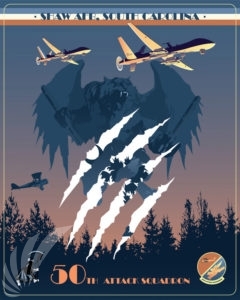 The 50th Attack Squadron is a squadron of the United States Air Force, stationed at Shaw Air Force Base, South Carolina, where it operates the MQ-9 Reaper. 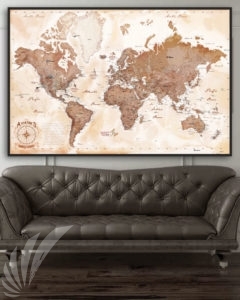 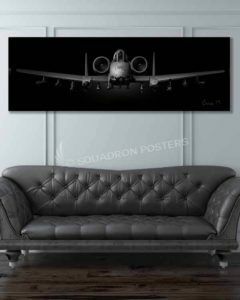 Shaw Air Force Base is a United States Air Force base located approximately 8.4 miles (13.5 km) west-northwest of downtown Sumter, South Carolina. 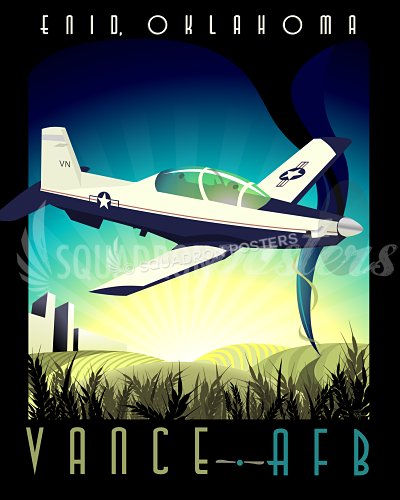 It is under the jurisdiction of the United States Air Force Air Combat Command (ACC). 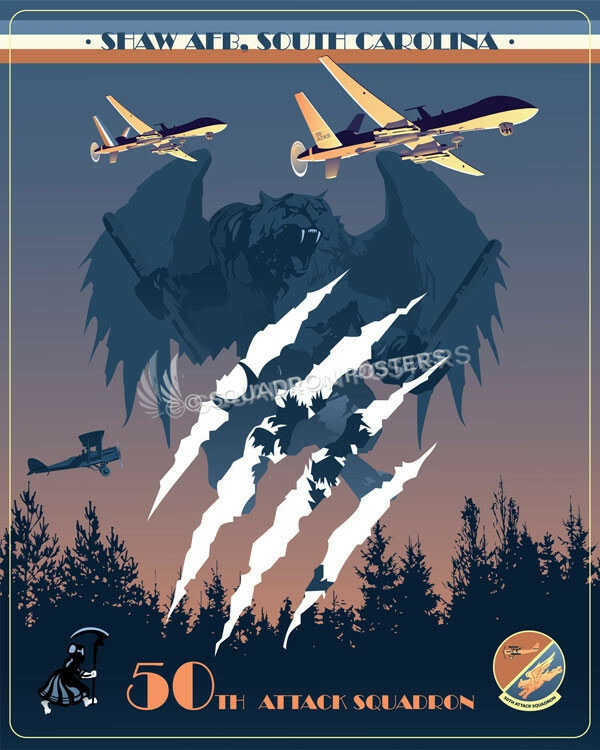 The General Atomics MQ-9 Reaper (sometimes called Predator B) is an unmanned aerial vehicle (UAV) capable of remotely controlled or autonomous flight operations, developed by General Atomics Aeronautical Systems (GA-ASI) primarily for the United States Air Force. 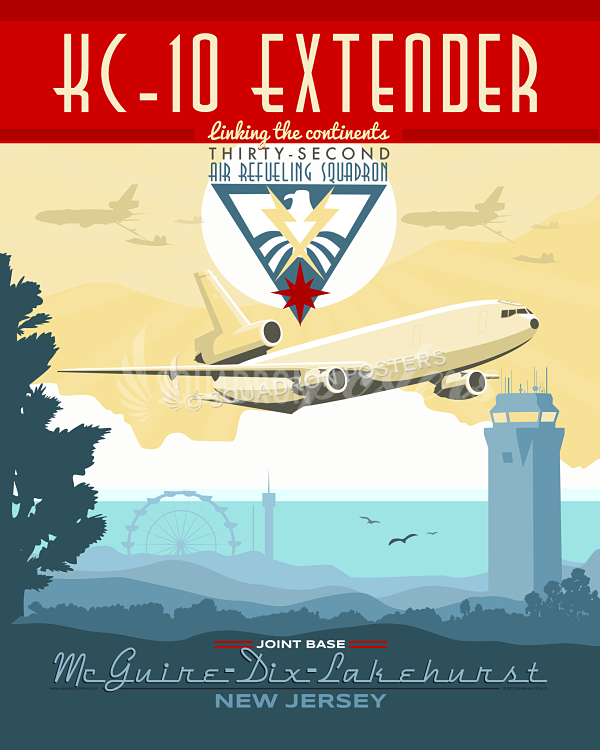 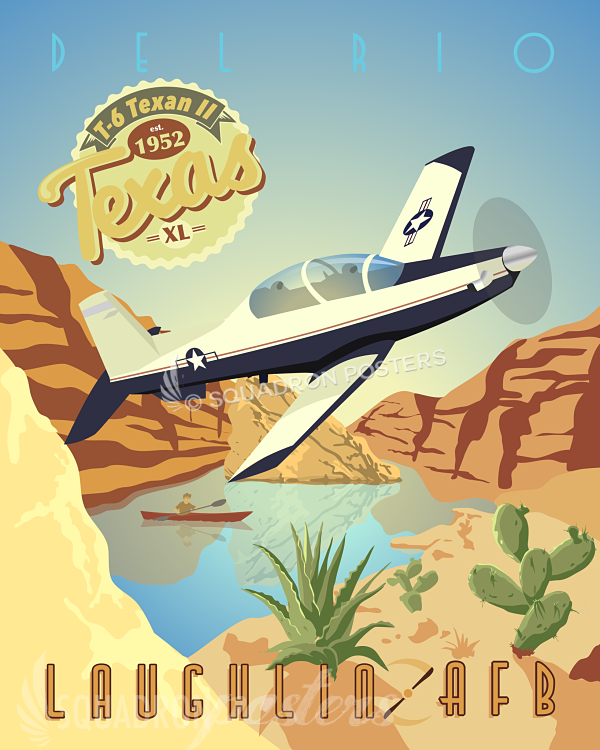 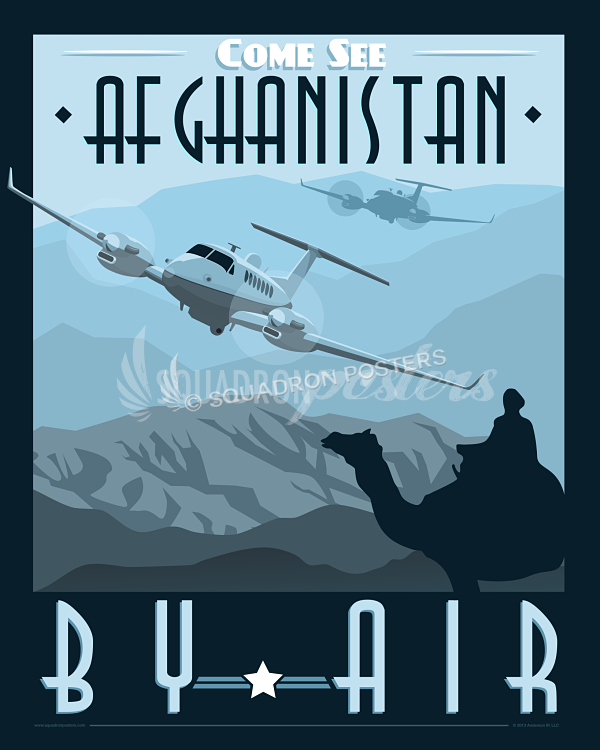 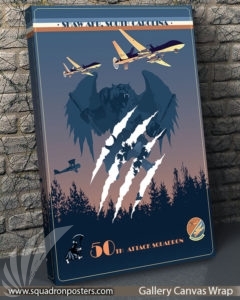 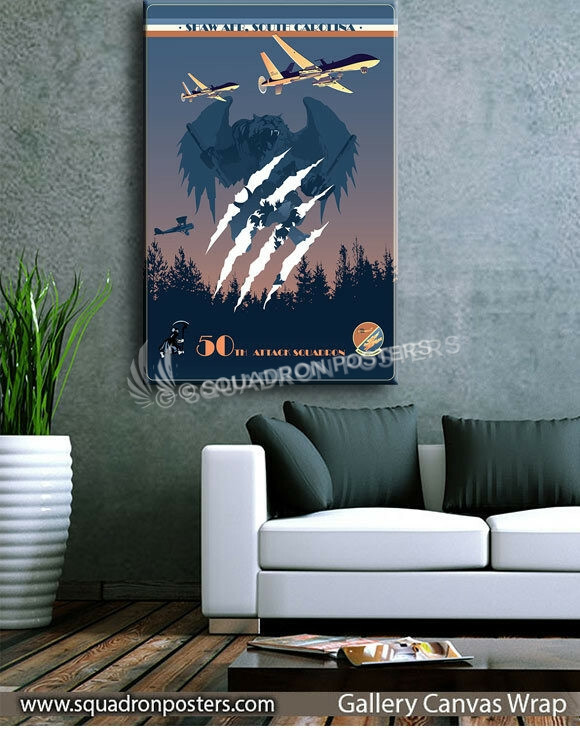 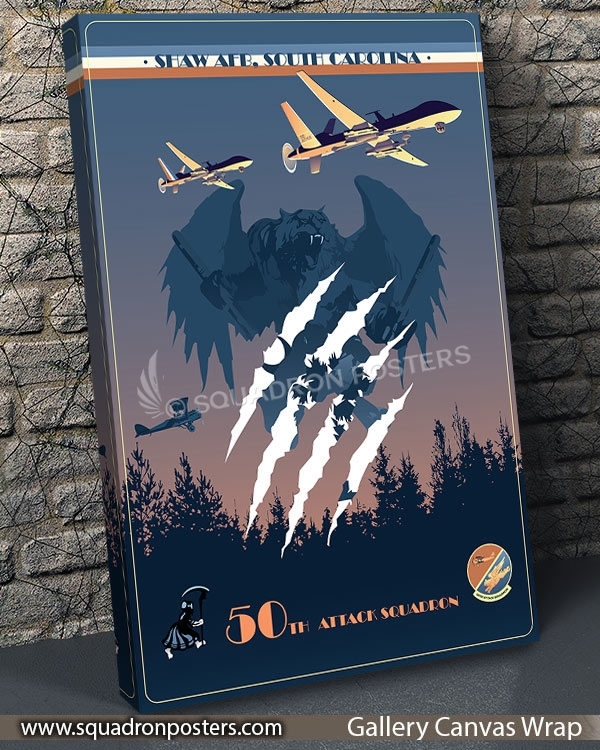 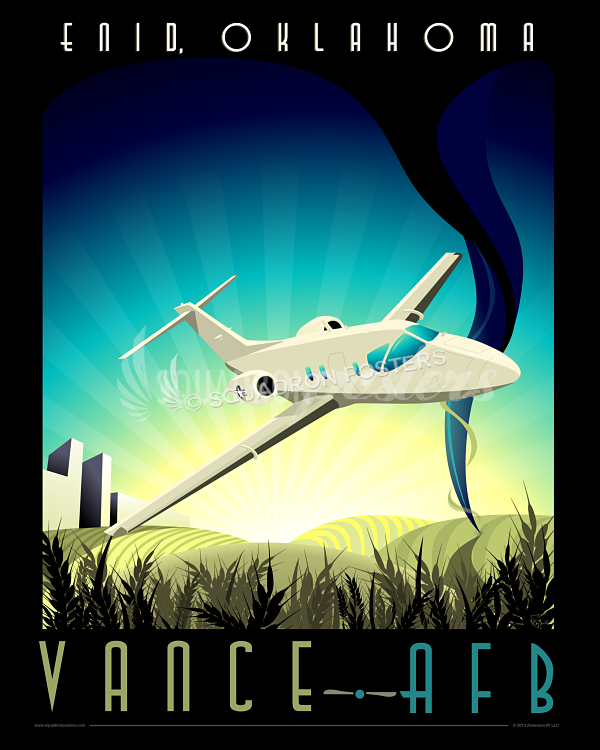 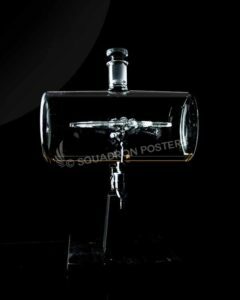 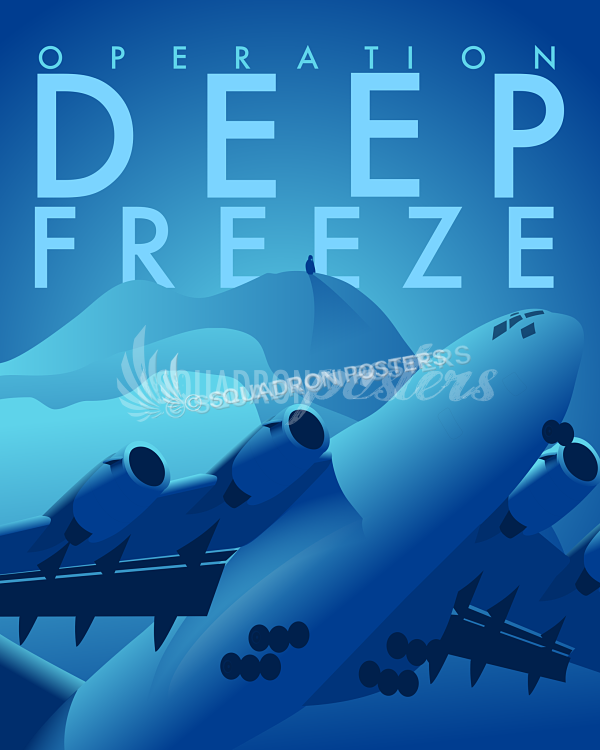 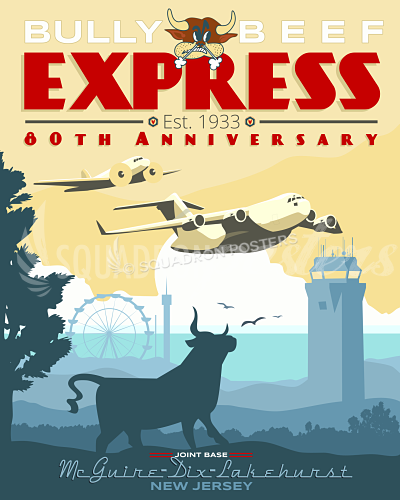 “Shaw AFB 50th Attack Squadron” vintage style military aviation artwork found only at Squadron Posters!